Are you trying to reduce your chances of lung cancer? One important risk factor could be right under your nose — and no, we are not talking about cigarette smoking. In this article, we will discuss an invisible killer called radon. According to the US Environmental Protection Agency (EPA), radon exposure accounts for about 21,000 deaths from lung cancer each year. While that number is nowhere near the annual 480,000 deaths because of tobacco use, it is still significant to lung cancer prevalence. Radon, a type of gas, occurs naturally outdoors in harmless amounts. It originates from the breakdown of uranium in soil and minerals. Sometimes, levels of radon accumulate and intensify in households built on soil with natural uranium deposits. The gas can enter any structure through the smallest of cracks, including in floors, walls, construction joints, or gaps in foundations around pipes or wires. Radon can also arise from building materials or water from wells. In most cases, radon levels are highest in insulated structures. Basements and crawl spaces are primary examples because of their tight spaces and proximity to the ground. What is the scientific connection between radon and cancer? When you breathe in radon gas, it enters your lungs and exposes them to small amounts of radiation — a known risk factor for many cancers. Inhalation of radon can damage the cells in the wall of the lungs and increase your risk of lung cancer. The risk is higher in those who have spent many years living in a radon-contaminated house or environment. Medical scientists discovered radon exposure as a contributing health concern when underground uranium miners, who had frequent radon exposure, died of lung cancer at high rates. Experimental animal studies confirmed the theory behind miners and radon, showing raised rates of lung tumors among rodents exposed to elevated radon levels. What do medical studies say about the relationship between radon and lung cancer? Scientists agree that high levels of radon cause lung cancer. Recent studies have concentrated on defining the impact of residential radon on lung cancer risk. In one study, scientists measured radon levels in the houses of people who have lung cancer and compared them to the levels of radon in the houses of people who have not developed lung cancer. Researchers had combined and analyzed data from all radon studies conducted in the United States and Canada. By putting together the data from these studies, scientists could analyze data from thousands of people. The results showed an increased risk of lung cancer for men and women with elevated exposure to residential radon. This rise in lung tumor prevalence was consistent with the estimated level of risk in underground miners. Methods to measure a person’s exposure to radon gas have become more precise in modern times, thanks to several studies conducted in the 1990s and early 2000s. Because radon gas is unidentifiable by our five senses, the only way to guarantee whether radon is a problem in your family home is to test for it. A Citizen’s Guide to Radon, created by the U.S. Environmental Protection Agency (EPA), demonstrates how you can test your home for radon easily and inexpensively, including what you should do if your levels are too high. You can do the test yourself using a kit available at most hardware stores or online resources. Simply follow the instructions for leaving the kit in your home for the required number of days. Then, mail your results to a lab and wait for a response. If more convenient, you can also hire a professional tester. If you learn that your radon levels are hazardous (level of 4 or higher), you can take the necessary steps to lower the amount in your home. One common approach is to install a vent pipe system, which will pull radon gas from beneath your property and vent it to the outside. It is also a likelihood for radon to enter your house through your water supply, although this presents a much lower risk than radon invading your house through the soil. If your property has a private well, you should consider having it tested for radon. If the levels are higher than average, you can have your water supply treated to remove radon before it enters your home. If you have concerns with radon exposure and your water comes from a municipal source, you should call your supplier as soon as possible. Similar to most home repair and construction projects, the overall cost of reducing radon in your home can vary, depending on how your house is built. Some factors that may influence the price of a radon removal service include whether you have a basement or crawlspace, and what kind of system you need. What should I do if I think my family has been exposed to radon? Currently, there are no specialized tests that can detect radon in your system. Instead, discuss with your doctor whether you should undergo routine health checkups or exams to look for possible signs of lung cancer. Some common symptoms include pain or tightness in the chest, shortness of breath, a persistent or worsening cough, voice hoarseness, and difficulty swallowing. If you smoke or chew tobacco and suspect alarming levels of radon exposure, your health may be dependent on quitting smoking. The combination of chronic smoking and radon exposure raises your risk of lung carcinoma more than either chain smoking or radon exposure alone. 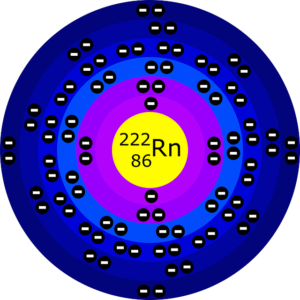 Radon does not have a physical form, but it is present in nearly all air. If you suspect living in an environment with possible dangerous levels of radon gas, order a test kit over the phone by calling the National Radon Hotline at 1-800-767-7236. More importantly, contact your healthcare provider to schedule a complete medical consultation. If you receive a lung cancer diagnosis, let New Hope Unlimited provide the alternatives you need to harmful treatments. Do not compromise the quality of life amidst a battle against cancer. Contact us now by dialing 480-666-1403 or complete our form to meet with our cancer care team.